Sadly, New Zealand industry stalwart Geoff Bonham has passed away. He was a long-time New Zealand Pool Guild member and a strong supporter of the swimming pool and spa industry in New Zealand. He passed away on January 21 after a short illness. Larry Ogden, New Zealand Pool Industry Association CEO, says that he served the industry well. He ran the Leisuretime manufacturing and distribution company for many years and also assisted SPLASH! in establishing the New Zealand expos. In recent years he moved on from his Leisuretime business, but maintained a commercial interest in the field of spa safety covers and automatic swimming pool covers dating back to the 1970s and 1980s. 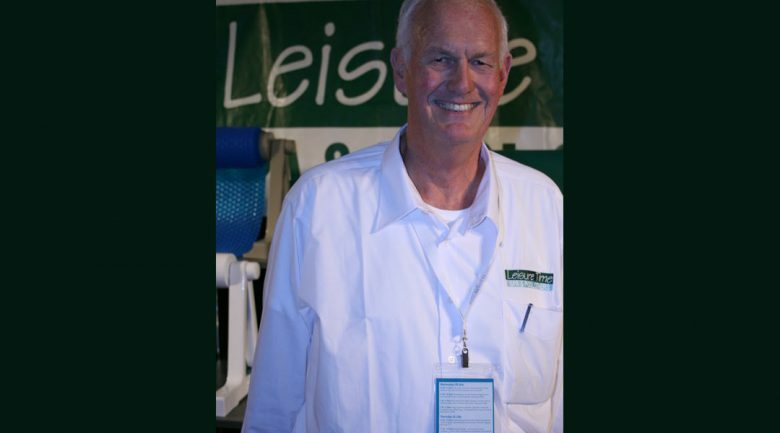 He was elected an honorary member of the NZ Pool Industry Association Inc in 2015 and remained an on-call member of the executive committee while still participating in the pool accessory field. Geoff served the swimming pool industry in 2004-2005 with his volunteer work on the NZ Standard 8500:2006 (which is still referenced in MBIE pool fencing rules) and served three years 2013-2015 on the Auckland Council Pool Fencing Committee while the most recent pool fencing act was developed and introduced as the Building (Pools) Amendment Act 2017 and section F9 of the Building Code. “Geoff always maintained that NZS 8500:2006 was a sufficient upgrade of the Fencing of Swimming Pools Act 1987, and continued to advise MBIE and the Territorial Authorities to simply ‘fine tune’ NZS 8500 – especially after the introduction of the 2017 Act which dismayed him and many others of us in the pool Guild,” says Odgen. “As it always is, it’s a shock when one of our friends passes away. Especially for me, as I had emailed Geoff on January 15th (last week) to suggest that we catch up for lunch soon. His response was: That sounds like a great idea Larry, when would it suit you – next week or the week after. Sadly, this was not to be.